Mr. Dushku is a member of the firm's First Amendment and Religious Organizations section and a member of the firm's board of directors. His practice focuses on critical motions and appeals in complex civil cases in state and federal courts across the nation. He has experience in litigation involving a broad range of constitutional and civil rights issues, including establishment clause and free exercise, free speech, free press, property rights and takings, equal protection, and due process. He consults with a diverse group of clients, including state and local governments, concerning constitutional and civil rights matters. 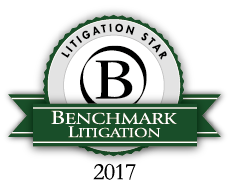 Mr. Dushku is recognized as one of Utah's Legal Elite for civil litigation.